It’s an idea that is easy to sell to the public, take this multivitamin once a day and you don’t have to worry about nutrition ever again. But not only do multivitamins probably give you all the benefits you actually need from supplements, they can/will cause you to overdose on others that CAN cause issues. Of course, I’m not gonna repeat obvious reasons such as the mentality some people have of “if I take a multivitamin junk food is ok”, not only is that very harmful, some of these reasons will show you how more of what you do not need (in a multivitamin) can be harmful. Are multivitamins good for you? Probably not, here are 6 reasons showing how they are overall a waste & multivitamin side effects do exist. 1) Unnatural levels of vitamins. First off, most multivitamins give you wildly disproportionate vitamin/mineral balances that are for the most part unnatural for your body and probably harmful. Did you know that zinc, copper & iron compete for the same pathways of absorption for your body on a daily basis? For example this study shows how iron competes directly with Zinc for absorption, which means that the more iron you take the less Zinc your body can use. So not only is iron potentially useless for you (and it is for most people, especially men, as I explain in point #2) but you might create or maintain Zinc deficiency due to taking extra iron everyday. What this means is an excess of one will interfere with the others. Too much zinc intake can lead to copper deficiency (because less copper will have the chance to be absorbed) and the opposite is true. Also, in the case of vitamin E supplementation of 400IU a day it has been shown to actually INCREASE prostate cancer risk by 17% over the placebo group! 400IU is quite a lot, but this definitely shows that more is not “better” or even “harmless”. 2) Iron in multivitamins, big NO for men and most women. 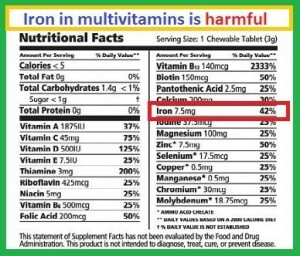 iron in multivitamins, a big no for the majority of men. For a lot of men supplementing with iron, found in many multivitamins, is completely stupid and potentially harmful unless you have a rare genetic disorder that causes you to not stock up on iron (or you are a vegetarian). Since women menstruate and have blood loss they tend to have lower levels of iron so this might be less of a problem for them. But as a guy, unless you are donating blood, you are probably at risk of already being too high in iron. As I explained in #1, extra Iron will actually cause problems with other things, such as Zinc. 3) Competition between certain minerals/vitamins. I already mentioned zinc/iron. There are others that are confirmed such as calcium which likes to bind to other vitamins making them useless to the body. While it’s more rare to find in multivitamins, you don’t want any omega 6 fatty acids in it. Omega 3 and omega 6 also compete and most likely the one you risk being deficient in is omega 3. As I pointed in my post on the benefits of fish oil it’s as important to reduce your consumption of omega 6 as it is to potentially supplement with omega 3’s. Of course, these are only what has been already studied, most likely there are many other interactions like these that have not yet been studied or shown. 4) Does it really give you all the minerals/vitamins you need in a day? Almost everyone living in a major town is deficient in magnesium because our water is filtered of all minerals. To prevent magnesium deficiency symptoms (such as leg cramps for me) you need to supplement with 300-500mg of it. Most multivitamins will have a much inferior dose and not only that but they might have the magnesium oxide form because it’s cheaper. While magnesium oxide is not harmful to your body (unlike potentially synthetic vitamins) it’s badly absorbed by your body as I explained in this post. Sometimes as low as 10% for some people so you want to go for the magnesium citrate and magnesium malate form (and many others also work) which some multivitamins do have but many still do not, especially if you buy yours at costco ;). ADdtionally, magnesium takes a lot of “room” in multivitamins and is another reason why you get low doses of it per pill. 5) Are the vitamins in it natural or synthetic? Most multivitamins use cheap ingredients, including synthetic forms of vitamins. If you’ve read my post on vitamin e supplements I explain how synthetic forms of vitamin E have been shown to actually “remove” the good/real vitamin E inside your body and have been shown to actually increase cancer. I think this does not need explaining that much but as time goes on we learn more and more on how vitamins work together. Recently we learned that calcium as a supplement alone is not very useful and might even be dangerous (calcification, which means too much calcium in your blood and it actually might kill you). What’s needed for proper bone health to make sure the calcium is well used is also magnesium, vitamin d and vitamin K2, hence why a lot of more advanced and recent “bone protection” supplement multivitamins now contain all of these. Beyond vitamins and supplements, we now are learning more and more about antioxidants and smaller trace elements in foods like polyphenols which are believed to be part of the reason certain foods like blueberries or dark chocolate have health benefits. It’s mostly the interaction between vitamins/minerals and other compounds in feel that bring a lot of the health benefits. You can’t wake up, take a multivitamin and get 100% of your daily needs and think you can eat donuts all day. You should calculate your average daily vitamin/mineral intake by entering into http://cronometer.com/ your meals for a few days. I did it once a year ago and found out I was reaching my daily needs of everything besides vitamin D (Obviously, the sun is a big source), magnesium (my main source is spinach and I would need to eat a ridiculous amount to reach 400mg+) and zinc if I do not eat fish/oysters. This pretty much lead me to the supplements I currently take (with a few additions). Either way, most people are likely to be deficient in Vitamin D & Magnesium like me so I made a separate post on resolving those issues. Unlike what most people like to believe our meals do not vary much so if you do it once it will give you a good idea for the future. Multivitamins are a waste for me and would make me overdose in almost everything… For most people they are probably also overdosing on many vitamins unless they eat fast food all day. It probably would not be harmful for a year but who knows 2-5+ years down the road? I’m not taking that risk to see how my body feels like dealing with overdoses… Do you think a pharmaceutical company who you bought multivitamins from for 5 years does? Nope. Any danger coming from overdosing on vitamins such as cancer (perhaps) will probably not be directly attributable to them. How would you prove it? They don’t put a “prevents cancer and other deadly diseases” label on the multivitamin and some of the research links I link to at the end of this post shows that multivitamins in studied patients have had no effects in preventing deadly disease… Why even bother? Multivitamins can MAYBE have a place in your life, if you are traveling, but you definitely want to consider picking a good brand that makes sure all the ingredients in it are actually helpful. You probably can’t get it 100% perfect for your needs but maybe taking a 1/3 dose will help make sure you aren’t too deficient in the ones you might ignore while traveling. A good example for me could be vitamin A which I get mainly from eggs and liver at home. I don’t find these usually in the quantities I want if I eat at a restaurant/hostel/hotel. But honestly, I just brought some vitamin A supplements with me :). It’s probably too hard to get a multivitamin that has everything right for you compared to just supplementing with what you are most likely deficient in. Once you sort it out, you’re good to go for years unless you change your habits in nutrition or start doing other stuff such as drinking heavily (you want more magnesium in that case.. as an example). In conclusion, here are some articles that also show research where people who took multivitamins in long term studies did not really see any noticeable health benefits. While I’m sure I could find studies that show the opposite, the point is it’s not a black and white issue. You might as well calculate what YOU ACTUALLY NEED and give it the proper dosages, THAT’s what will improve your health. Most likely your multivitamin will not give you the proper dosage of the vitamins you are most likely to be deficient in, vitamin D and magnesium. So once again, are multivitamins good for you? Probably not unless they solve the 1-2 major mineral/vitamin deficiency that has been plaguing you. 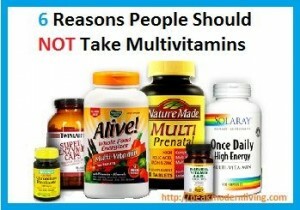 Don’t take multivitamins as a lazy way of thinking they will protect you from everything by itself! Take the (probably few) vitamins/minerals you are deficient in by themselves, in the quantities YOU need. Vitamin B12 Deficiency Symptoms – How to Fight Them! 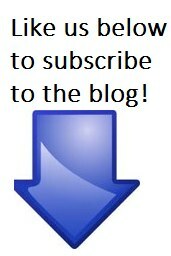 This entry was posted in Vitamin Information by Alex. Bookmark the permalink. enjoyed this article very much also. also ,there is GMO in the vit C a lot of time. please let me know when you write the article about steaming spinach and broccoli. A quick guide is that you want to steam them a bit but not too much, if your water becomes green than it is too much. Also broccoli loses some “anti cancer” properties if cooked too much. So I just steam them a few minutes. Wow, the Cronometer sounds like a great idea. If I’ll visit my doctor he will most certainly recommend me a ton of vitamins to keep me “up and springy” but I hate the idea of stuffing my body with unnecessary vitamins. I will use this application for a few days and I can bet it will say that I get everything I need from my diet. It boggles my mind when I see people at my local pharmacy stocking up on vitamins like there’s no tomorrow. They just come and buy whatever they think they need, just because they want to feel better. People, see your physician and ask him to do some tests and see what your deficiencies are, otherwise you risk developing some serious conditions! I used to blindly take supplements, but after learning about fillers and what else can be added to pills/tablets to give them a certain color & taste, I started any supplements that I felt I should be taking. I’m more comfortable with this because I know what’s going into what I’m taking. I remember watching a new story on this. The doctors featured basically said that unless you’ve been directed to by a doctor, taking supplements that you may not need is a waste because your body may not have a deficit of what you’re trying to supplement and what your body doesn’t use is just going to be flushed out of your system. Thanks for recommending this website. I tend to following the thinking that all these multivitamins and supplements are a waste of time and money, however after checking out this website, I see I’m lacking iron. Gonna being this up during my next checkup before I decide whether or not to take some iron supplements. Great! As for iron taking vitamin C makes your body absorb more of it if your doctor feels its a problem and your iron levels are low. Alcohol too but thats less useful to time it… unlike vitmain C which can be taken during an iron rich meal. Another problem: If you have a mutation in one of your MTHFR genes, you shouldn’t use folic acid. The mutations keep you from converting folic acid to folate. The government acts like the two substances are exactly the same and that is NOT TRUE, plus having too much folic acid built up in your body is a known cancer risk. So if you do get a multivitamin, make sure it has methyl folate in the ingredients list and NO folic acid. The mutation also causes issues with vitamin B12 since it has to do with methylation. Most multivitamins have the cynaide form of B12 in them which interferes with absorbing real methyl B12. So watch out for that too. If you don’t know whether you have the MTHFR mutation (either of them, there are two possible ones that I know of), make decisions as if you do, especially if you have certain other known health issues such as high homocysteine or frequent miscarriages. I have one copy of one of the mutations which puts me down to about 60-something-percent efficiency in converting folic acid. I’m glad I switched to methyl well before I found that out. Folic acid is junk as far as I’m concerned. Alex, I used Whole food, Certified Organic, USDA, non-GMO (no magnesium stearic, stearic acid) for my multi-vitamin. I only eat grass fed-finished, pasteurized organic eggs, grain free flour (good for my inflammation, aches and pain). I used my multivitamin when I don’t have enough time and can’t eat all the organic, pesticides free food when I don’t have enough room to eat all the nutritious food. I don’t know what brand and what kind of multivitamin you are taking. I am 72 years old and I still believe multivitamin is still necessary to people who might be deficient to their health. It doesn’t matter if you are young or old. Well I think your more responsibly using a multi vitamin in this case (on the days you might actually be deficient on some nutrients). Even the days I don’t eat as well as usual with a broad mix of vegetables / grass fed meats I prefer taking the vitamins I usually am low on, which are still mainly zinc and magnesium. Anyway I wouln’t say multivitamins are a problem then for people in your situation. I mainly think of those who are using them daily and keep avoiding trying to get those nutrients from foods thinking it does not matter (and also possible they are still deficient in some nutrients that their multivitamin doesn’t have enough of).